Harry Redknapp admits Tottenham could be on the verge of mounting the club’s first serious challenge for the Premier League title. Redknapp’s side kept up the pressure on leaders Manchester City and second placed Manchester United with a hard-fought 1-0 win over West Bromwich Albion at White Hart Lane on Tuesday. The north Londoners are six points behind City and even if second placed Manchester United win at Newcastle on Wednesday, Spurs can still move within three points of the top two with a victory at home to Everton in their game in hand next Wednesday. Redknapp stopped short of declaring that Tottenham can win the title, but he believes they should be regarded as a threat to the two Manchester clubs. “I don’t know about a title winning team but we are there and thereabouts. We have to keep believing and keep going. You never know, nothing is impossible,” Redknapp said. “It’s been a great first half of the season. Considering we lost the first two games to have the points we have is great. After an FA Cup third round tie against League Two minnows Cheltenham, Redknapp’s team turn their attention to the crucial clash with Everton. If Tottenham are to run City and United close in the title race, that is the kind of fixture they must win and Redknapp - pointing to the surprise results over the Christmas period - warned his players to guard against complacency. “You aren’t going to rip teams every week. You’ve only got to look at some of the results over the holidays,” he said. “Blackburn won at Man United, Sunderland beat Man City and Fulham beat Arsenal. There are no easy games for anyone in this league. Most of the successful sides in Tottenham’s history are better remembered for grace rather than graft but, while Redknapp’s current crop can undoubtedly play a bit, they proved they can also roll their sleeves up and grind out a result against obdurate opposition. They kept cool despite the provocation of some ferocious Albion tackles and pieced together an incisive attack that ended with Jermain Defoe bagging the winner with a typically predatory finish in the 63rd minute. “It was very important to get the win and keep up there,” Redknapp said. “It was a hard night because they set up to be difficult to beat. Redknapp was relieved Defoe was able to break the deadlock and insisted the England striker won’t be sold during the January transfer window even though this was his first league start for a month. “Jermain has always been a goalscorer. There’s no chance he will be leaving, he is under contract,” said Redknapp, who could be without William Gallas and Sandro for several weeks after the pair sustained calf injuries. Albion boss Roy Hodgson showed his respect for Spurs by admitting he sent out his side in defensive mode and he has no doubts Redknapp’s men are good enough to win the title. “They are serious contenders for the title. They have proved that,” Hodgson said. “They win their matches and put pressure on City and United to win their matches. It is a well organised side so I wouldn’t bet against them. Hodgson also revealed captain Chris Brunt is likely to be out for several months with an ankle injury. “Chris will have a scan on his ankle. It’s very swollen. 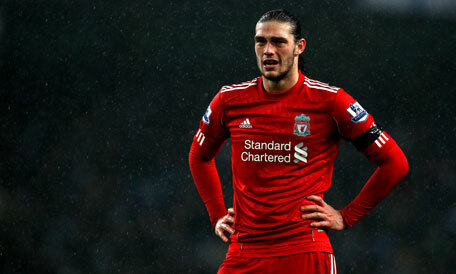 We know it is a serious injury, it is just a question of the degree of seriousness,” Hodgson said.